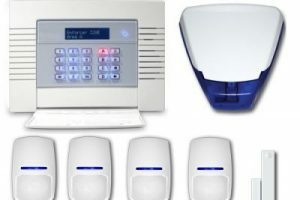 With an impressive range of home alarm systems on offer in Perth, we’re sure to stock the right system for you. We supply and install only leading brand electronic security systems, including Honeywell and Bosch. Imagine being able to control your alarm from a remote location. Or being able to receive real time notifications. All this is possible and more with a Crown intruder alarm system. We understand that in some circumstances there is a need for fast response and sensitivity, so that’s why we are able to escalate certain jobs in times of need. We choose not to use contractors and all our full-time staff have been police cleared, giving you peace of mind when letting them into your home. After you contact us we’ll be in touch to discuss your home alarm system in further detail. We’ll work closely with you to firstly understand your needs and requirements, advise you on the best solution, then install it. We’ll make sure you and your family are adequately trained in how to use it so that you can get the most out of your home alarm system. 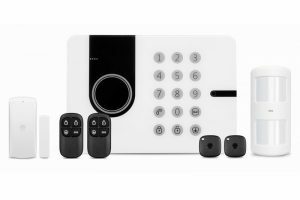 We have a range of home security systems in Perth including home security cameras, home alarm systems, home access control in Perth, intercom systems plus much more. Contact us today to see how Crown Security can help you. We offer an impressive range of home intruder alarm systems ensuring you and your family are protected against unwelcome guests. We offer conventional dialler monitoring as well as the latest wireless monitoring via GPRS with GSM and PSTN redundancies. 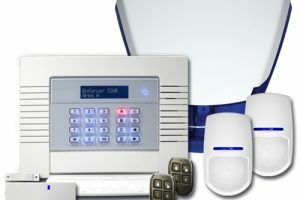 We’ll provide you with a bespoke home alarm solution that is designed and installed to suit your budget and requirements. We want to ensure you get the most out of your home alarm system so we’ll provide after sales technical support. We deliver outstanding value for money throughout the entire customer engagement ensuring you’re completely satisfied with your alarm system. Need an alarm system installed yesterday? We know the importance of getting a system installed quickly to keep your home safe. In December 2015, we had a home camera security system installed by Crown. We are very happy with the quality of the system and wish to thank Crown for the professionalism of their installers (Harry and Daniel were excellent at their work and very tidy and courteous) and to Doug for the high level of customer service and attention to detail. Thanks, Mark and Sandy. If remote monitoring is not for you, we strongly advise that you are aware of your alarm system status. We can offer alarm systems that will contact you via SMS should the system be activated, or for example if the home suffers a power failure. This SMS feature is free from any ongoing monitoring charges. Only the cost of the SMS is payable on your own phone account.